Album dal vivo per i Crashdïed | SLAM! 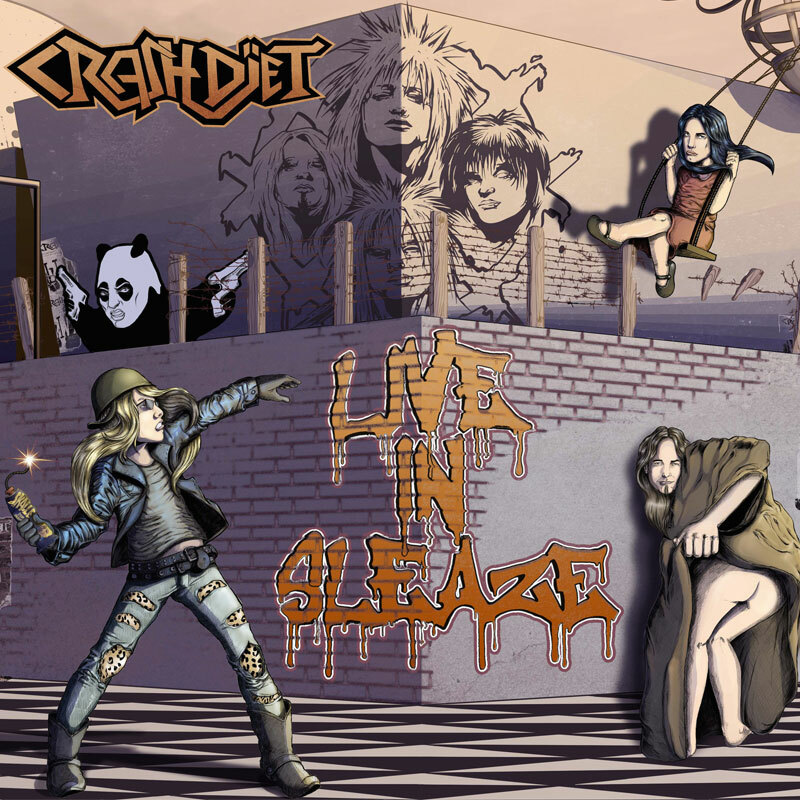 We are delighted to announce that you can pre-order ”LIVE IN SLEAZE” today! Back in 2005 we made a mess everywhere we went. We were the first sleaze rock act in decades to get signed directly to a major label. In support of our critically acclaimed and charting debut album ”Rest in sleaze”, we toured every small venue in Sweden. We had a small but growing crowd every night. We were four hungry and naive men in our 20s, out to destroy mostly everything that went our way. This live album contains one of the few live recordings from this era. Only months later, lead singer Dave Lepard would leave this earth. This is a chance to witness the raw and unpolished energy of a young and furious rock band.